GULLCO International has introduced a new cantilevered positioner system with a programmable control. This accurate, fully automated welding cell, provides precise speed regulation to Gullco's "GP" range of positioners via its new programmable microprocessor control. The tach feedback control ensures smooth, accurate rotation of the workpiece and is able to activate pneumatic welding gun positioning slides, wire-feed stop/start signal; table rotation stop/start at any point, 0-360°. 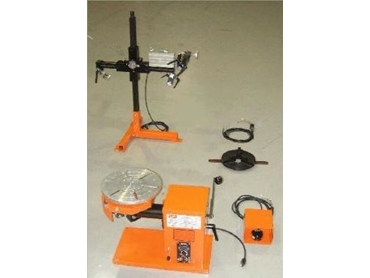 This enables any automated operation that can fit on the positioner ... such as stitch welding, rotary welding on pipe with complete 360° rotation, plus overlap. All this is based on an operator defined welding cycle. The system has a vertical capacity of 150 lbs (300 lbs in the horizontal position) and adjustable table tilt through 180°. 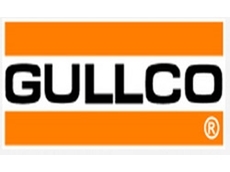 This Gullco system is available for a fraction of the cost of a PLC/servo system.